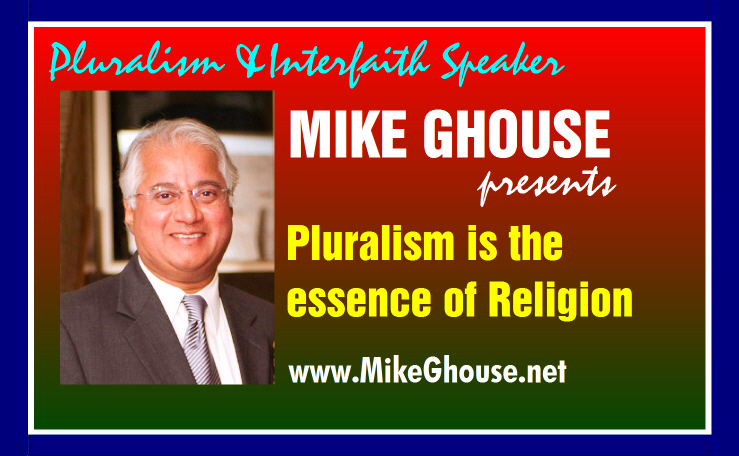 Mike Ghouse is a speaker, thinker and a writer on pluralism, politics, peace, Islam, Israel, India, interfaith, and cohesion at work place. He is committed to building a Cohesive America and offers pluralistic solutions on issues of the day at www.TheGhousediary.com. He believes in Standing up for others and has done that throughout his life as an activist. Mike has a presence on national and local TV, Radio and Print Media. He is a frequent guest on Sean Hannity show on Fox TV, and a commentator on national radio networks, he contributes weekly to the Texas Faith Column at Dallas Morning News; fortnightly at Huffington post; and several other periodicals across the world. His personal site www.MikeGhouse.net indexes his work through many links.